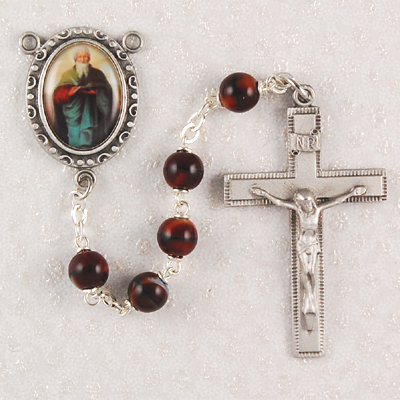 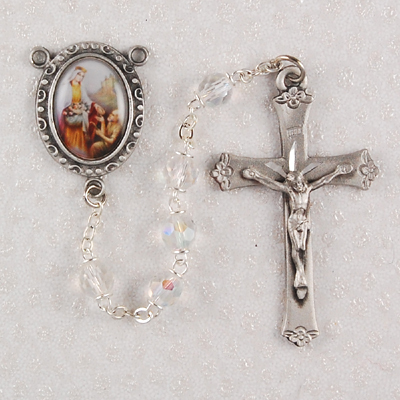 Deluxe silver tone rosary with beautifully detailed 2" silver tone crucifix, and rich wood oval beads. 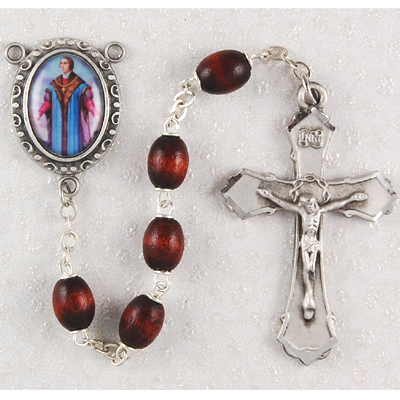 Centerpiece features full color image of St. Thomas More (Patron saint of Lawyers)- and the back can be engraved with up to four lines of text to make it a unique and personal gift. 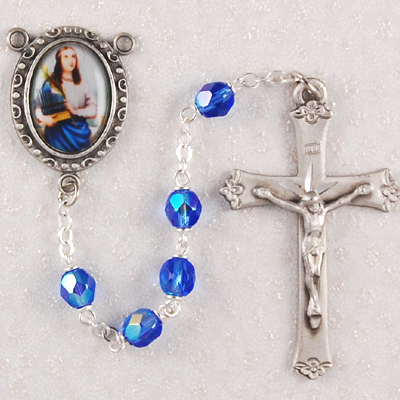 Please allow 5-7 days for your personal rosary centerpiece to be engraved. 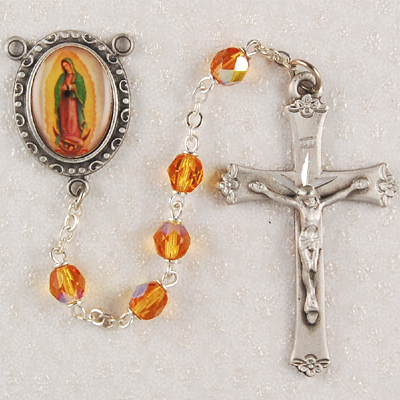 Be sure to inlcude your lines of text in the 'comments' section of your online order form.